Delmore’s book has given me great joy during the last days. So intelligent a book! So amicable and understanding in its wit. Always a delight to read. 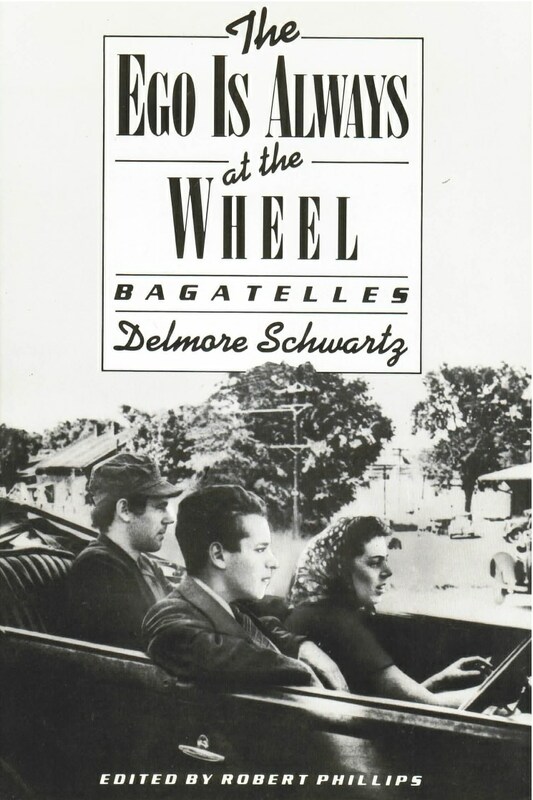 Readers of the poetry and fiction of Delmore Schwartz (1913-66) are familiar with his penetrating psychology and his philosophical concerns, his ability to dramatize ideas and to turn his personal experiences––as immigrant son, New York Jewish intellectual and Wunderkind––into a symbol for the disorders and conflicts of modern life. But Schwartz had another side––the comic. The Ego Is Always at the Wheel, a collection of nineteen essays published now as a New Directions Paperbook, presents the poet as a humorist of no mean accomplishment. In this gathering of Schwartz’s bagatelles, he romps through such topics as the taking of baths and the meaning of existentialism, the abominations of the telephone, fear of having one’s picture taken, the importance of owning an automobile, theories of Hamlet’s behavior and Don Giovanni’s promiscuity, the difficulties of divorce, and more. His “An Author’s Brother-in-Law” and “Memories of a Metropolitan Child, Memoirs of a Giant Fan” provide endearing self-portraits of the young Delmore. And “The Farmer Takes His Time” is an hilarious inquiry into a N.Y. Times news item about a Wisconsin widower who advertises for a wife.